Located near the intersection of Main St and Brent Dr, Extra Space Storage serves residents of Hudson and Sudbury. Locals will recognize our facility a few minutes north of Charter Oak Golf Course. 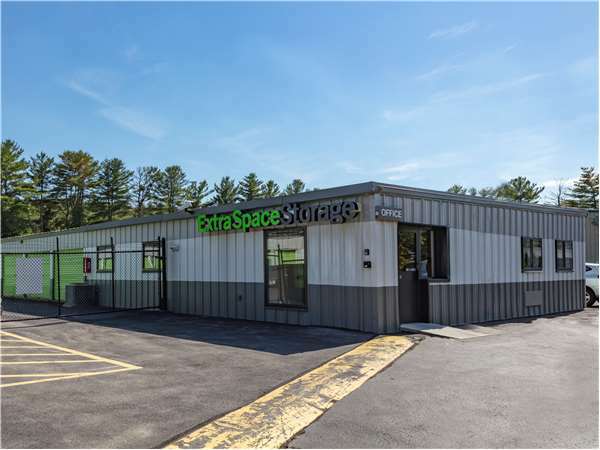 Extra Space Storage on Main St can accommodate residential and commercial storage needs in Hudson with a large selection of storage units, vehicle storage, and exceptional security! Our Hudson storage facility offers unit sizes from 5x5 to 20x35 and unit features like drive-up access, first-floor access, and more. We have the convenient storage space you're looking for! Very Expensive. If you don't pay when due they nail you with large fees. The worst thing is when you log into your account to get an account history and see exactly what you were charged and how payments were applied there is absolutely no breakdown of the account history. You really don't know what they're charging you for and how they're applying payments. I just logged in and owe almost $200 more than expected because of fees. Would never do it again. The employees try to be helpful but don't seem to completely understand the billing process either. Went there a few times to make payment and no one was there . Waited 45 minutes after opening time. No one showed up. Since I haven't had time to actually move any of my belongings into this facility, I would like to do a follow-up review later. So far in dealing with the staff I am quite satisfied. Other storage facility in the area was closed Sundays and early Saturday evenings. This facility is on Main Street so it's easy to find plus you have access to your storage container 7 days a week and evenings. This storage facility is outstanding!! The manager and staff are just like family now, I'm a long term renter. I'm 2 miles away from home and it feels like it's my own garage!! The security is very nice also!! Please keep the current manager and staff intact!! Facility manager is terrific, keeps a close eye on things and is very professional. I feel like he's right on top of things making me very comfortable with the safety and security there. I called to reserve a 10x10' storage area. The representative was very helpful and provided all the info I needed. With an online reservation and just $10.00 deposit, my rate was brought down to $117. per month from $138. The actual registration process on-site was longer than I anticipated, but the gentleman was very nice and enjoyed conversation. Sure beats a "business as usual" appraoch to customer service. I would reccomend this facility to anyone in need of temporary storage space. Drive southwest on MA-62. Take a slight left onto Marlboro Rd. Continue onto Chestnut St. Turn left onto Main St. Pass Brent Dr and our facility will be on the right. Drive north on Stow Rd. Continue onto Stony Brook Rd. Turn left onto Chestnut St. Keep right to continue onto Murphy Rd/Brook St. Turn right onto Main St. Pass Brent Dr and our facility will be on the right. Drive northwest on Hudson Rd. Continue onto Sudbury Rd. Take a slight left onto Main St. Our facility will be on the left after Kane Industrial Dr.
Drive east on MA-62. Pass Mobil and continue onto Main St. Pass Brent Dr and our facility will be on the right.